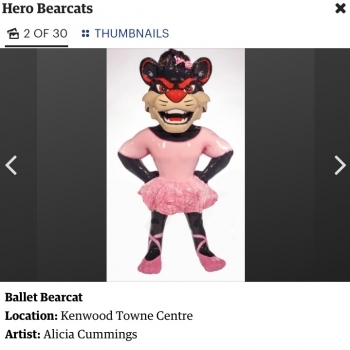 The University of Cincinnati's "Hero Bearcats" exhibit features 30 life-size sculptures of UC's iconic mascot, similar to the Flying Pig and Mr. Red Mustache installations from years past. The sculptures will appear in a variety of locations, from downtown to Clifton to Liberty Center. 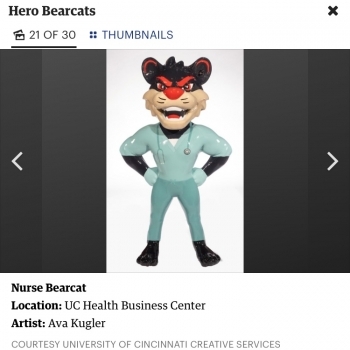 According to Marty Ludwig, UC’s director of trademarks and licensing, "Hero Bearcats celebrates everyday heroes like astronauts, nurses, firefighters, police officers, farmers and others in colorful, whimsical ways." Five of the 30 designs were created by Harrison artists. 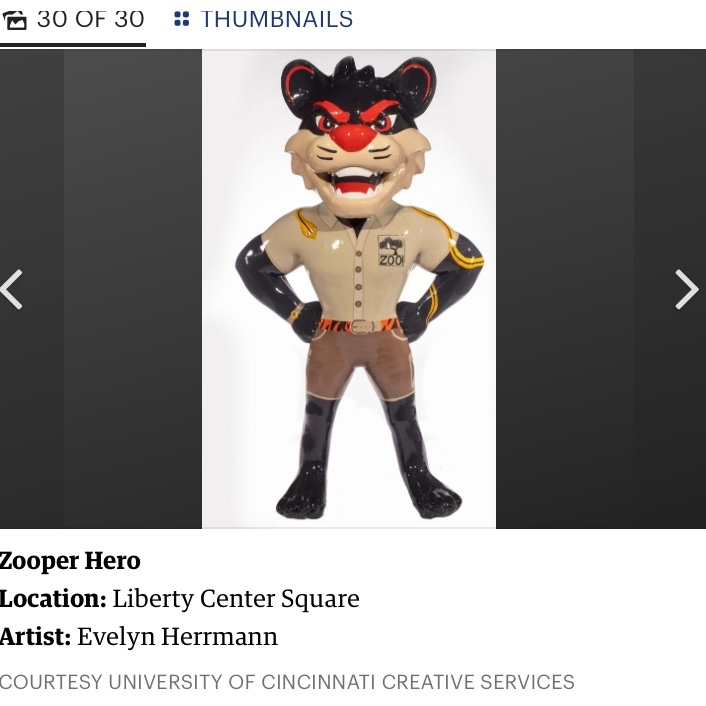 Three of the chosen designs were created by student artists Ava Kugler, Evelyn Herrmann and Eric Cooper, with the remaining two being the brainchild of art teacher Alicia Cummings. 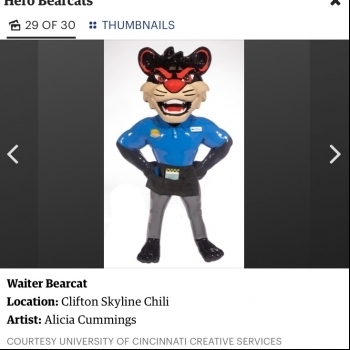 Under Cummings' tutelage, the artists get a $1500 stipend from UC, with any remaining funds going to the Harrison High School Art Club. 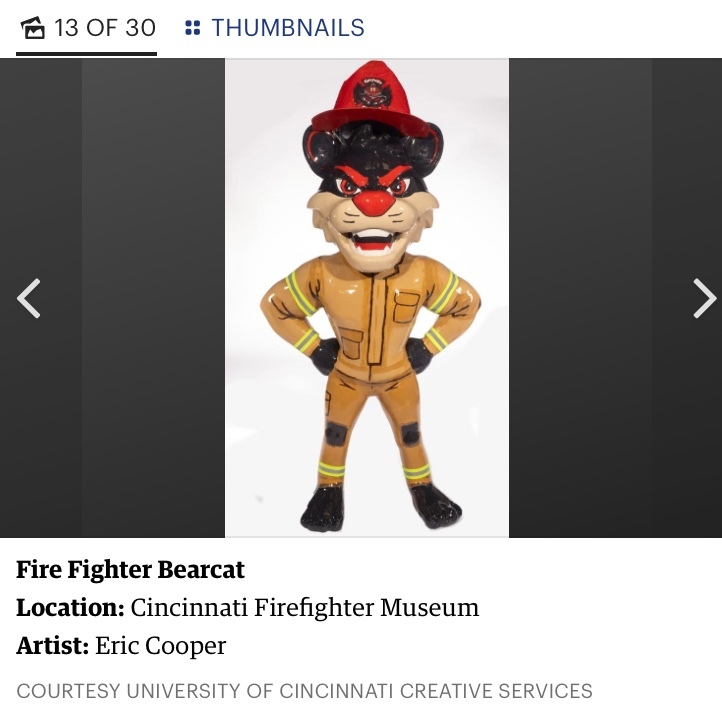 Locations of the sculptures are as follows: Eric Cooper: Cincinnati Firefighter Museum, Ava Kugler: UC Health Business Center, Evelyn Herrmann: Liberty Center Square, and Alicia Cummings: Kenwood Towne Center and Skyline Clifton. 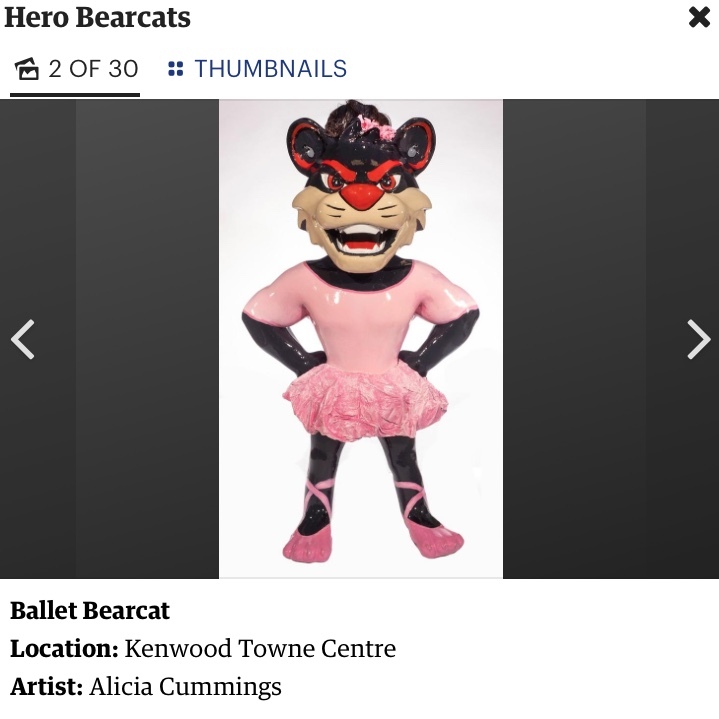 See how many you can find, and share them on Twitter and Instagram using the hashtag #HeroBearcats.